New Hearthstone expansions come out all the time, but it’s fairly rare for the base experience of the game to change outside of that. 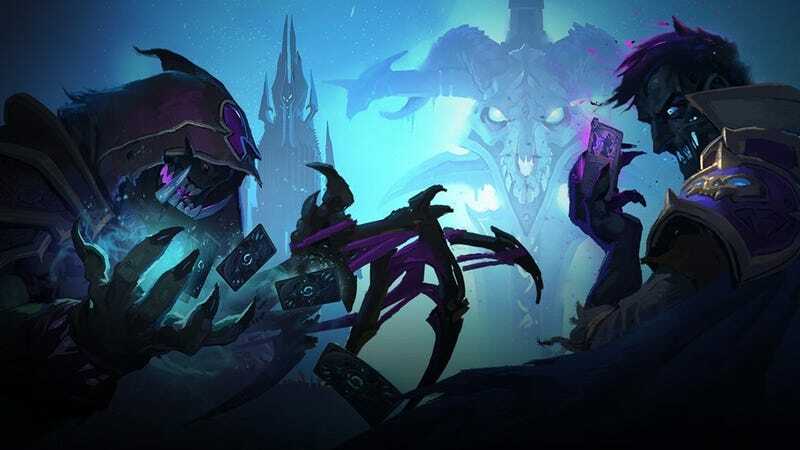 Earlier this week, Blizzard announced a few changes—including some new cards and tweaks to the ranked ladder system—that set the tone for how the game will evolve in the future. These changes should help ease new players into the competitive experience. The first of these changes is a batch of four new cards that will be added to the Classic set, Hearthstone’s base set of collectible cards that can be used in all modes of play. These cards are meant to replace cards that were removed from the game’s Standard mode for being too powerful—a practice that Blizzard first began in early 2017. While the new cards aren’t exactly powerhouses, they help to define the identity of each class for new players. This is not typical; while Blizzard has introduced special new cards for the game’s Arena mode and tweaked the power levels of cards in the original sets, they haven’t added new cards to the Classic batch this way. Three of the cards are one-mana spells that add a random card to your hand. The Mage spell Tome of Intellect adds a random Mage spell to your hand; the Warlock spell Call of the Void adds a random Demon to your hand; and the Rogue spell Pilfer adds a random card from the opponent’s class to your hand. The fourth announced card, Icicle, is a Mage spell that deals two damage to a minion for two mana and draws a card if the minion is frozen. Two-mana deal two isn’t great, but the added benefit means this card might see play in more freeze-heavy decks. On top of these changes, Blizzard is changing the way Hearthstone’s ranked system works for new players. Where players typically start at rank 25 and climb their way up from there, Blizzard is adding 25 more ranks so that new players start on the ladder at rank 50. This means that players who are new to ranked play will be able to face off against players who are closer to their skill level, which should make things much less frustrating for folks with lackluster card collections. Once you hit rank 25, you’ll never have to climb your way up from rank 50 again, so there’s nothing to worry about for players who are concerned that their rank might drop significantly at the end of a season. Joshua Calixto writes about esports, culture, and technology.